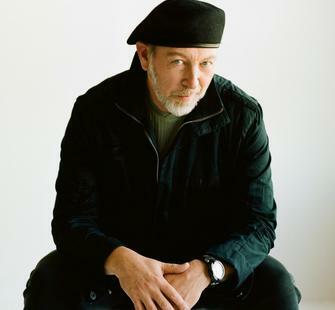 Welcome to Richard Thompson, the finest guitarist most people have never heard of. It’s not unusual for thousands of musicians to fly under the general public’s radar, but it’s a little strange when the artist in question displays such virtuosity on his instrument. Maybe it’s not so strange when you collect the words used to describe his songs: dark, depressing, world-weary, sarcastic, sardonic, bleak. Not usually associated with rays of sunshine is our Mr. Thompson. But he’s also been called the English Bob Dylan, so he’s got that going for him. Thompson’s demeanor in real life is actually quite witty and charming, and many of his songs are a rollicking good time. But his most lasting and impactful work stems from a darker pool of emotions. Let’s get wet. 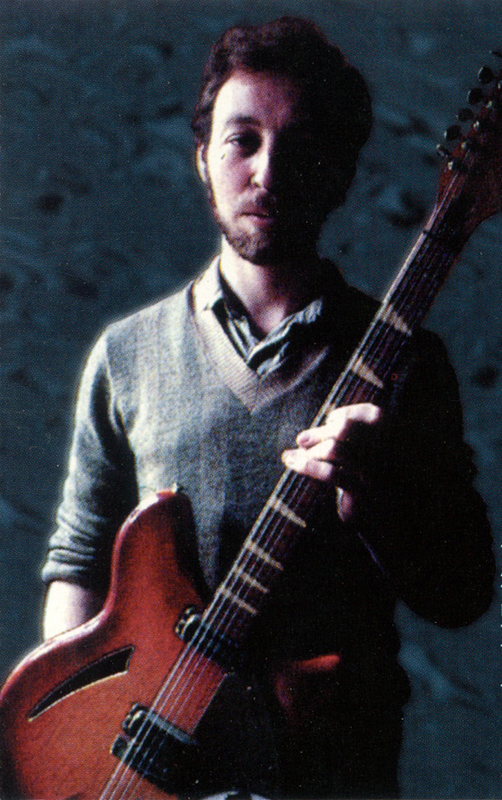 Richard Thompson began his musical journey in the late 1960s as the teenage lead guitarist for electric-folkers Fairport Convention (more on them another time). When producer Joe Boyd heard them play, he immediately signed the band up, largely due to Thompson’s phenomenal fretwork. 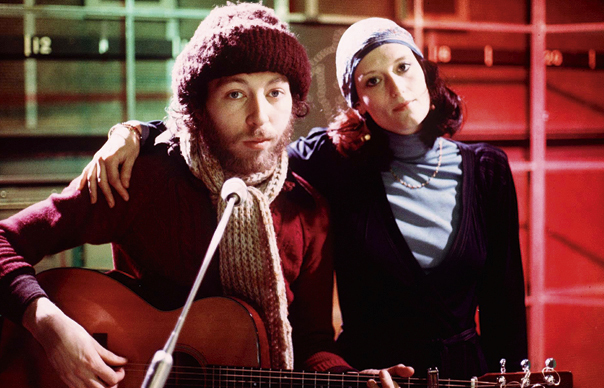 After a few albums of revolutionizing the British folk scene, Thompson struck out on his own, but soon teamed up with his new wife Linda as a duo. He wrote the songs, and they issued forth with beauty and sadness through her voice. Their records sold next to nothing during the 70s, but they never seemed particularly concerned, and adulation flowed from a small, devoted following of fans, journalists, and fellow musicians. The couple didn’t survive together very long into the 80s, and Richard had to learn how to front his own band. Thompson spent the ensuing decades garnering more acclaim and attention (even Grammy nominations) while releasing a string of albums filled with an eclectic mix of rock, folk, almost pop, Celtic jigs and reels, ancient madrigals, Britney Spears covers, acoustic ballads, and electric mayhem. He was even appointed an Officer of the Order of the British Empire for services to music. But still your neighbors and coworkers would likely shoot you a blank look if you mentioned Thompson’s name. I Want To See The Bright Lights Tonight (1974) Richard and Linda’s debut. A folk-rock masterpiece, the title coming across like a plea from the depths of darkness. Not a happy album, but a powerful one. Shoot Out The Lights (1982) The end of the road. Recorded as the couple fell apart. But the tension led to their finest record, and one of the most acclaimed albums of the 80s, famously making Rolling Stone magazine’s Top 10 on its end-of-decade best-of list, unheard of for a mostly unknown, indie label “folk” duo. Rumor And Sigh (1991) Thompson’s commercial breakthrough. Contains his biggest “hit” in addition to his best-loved song. Even got him airplay on MTV. Finally, the Richard Thompson post! Having not known much of his work beyond the Grizzly Man soundtrack, this was all new to me. It’s quite something, to be able to play across such an eclectic mix of genres. I particularly enjoyed “1952 Vincent Black Lightning”. In my mind, this is what it would sound like if Alan Doyle (of Great Big Sea. Are Great Big Sea well known south of the border?) time traveled back to the mid-sixties and collaborated with Joni Mitchell to write an alternate version of “Leader of the Pack”. I also particularly enjoyed the disorienting solo in Shoot out the Lights. Indeed! His is an impressive catalog.